Attain optimal performance with Axiom OM4 laser-optimized multimode fiber patch cables. Axiom OM4 Fiber Optic Cables answer the call for increased bandwidth requirements used in cost-effective multi-mode systems. OM4 Cable provides an opportunity to future-proof cabling and networking infrastructure delivering increased bandwidth for next-generation 40 and 100Gb/s applications. Axiom OM4 is completely backward compatible with existing OM3 applications. 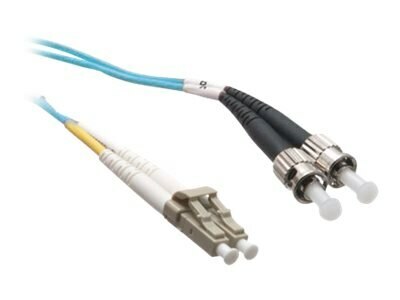 OM4 Cable is laser-optimized high bandwidth 50um multimode fiber, has a more stringent test specification, and provides an additional layer of performance that supports 10Gb, 40Gb, and 100Gb applications at longer distances.